Glacier Fire is a fragrance for men who love extremes. The sharpness of icy top notes give way to a woody warm base, conjuring up elemental extreme of ice and lava. 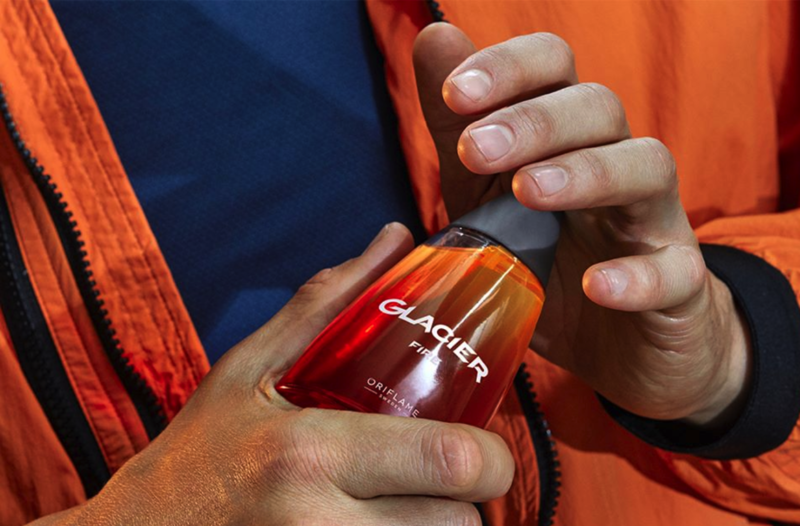 Contained in a fiery red glass bottle contrasted with a cool aluminium lid, Glacier Fire takes volcanos as inspiration. This masculine fragrance encapsulates the rush you feel when facing the elements, for an exhilarating boost of energy. Enjoy a power boost with the sensational combination of contrasting Glacier Fire notes. The packaging speaks for itself! A fragrance for the man who loves extreme challenges . Frosty notes of black lemon and mint and the warm aromas of wood create a contrasting composition, like combining fire with ice. The bottle is inspired by the shape of the volcano and the color of the lava. Contains an aluminum cap. 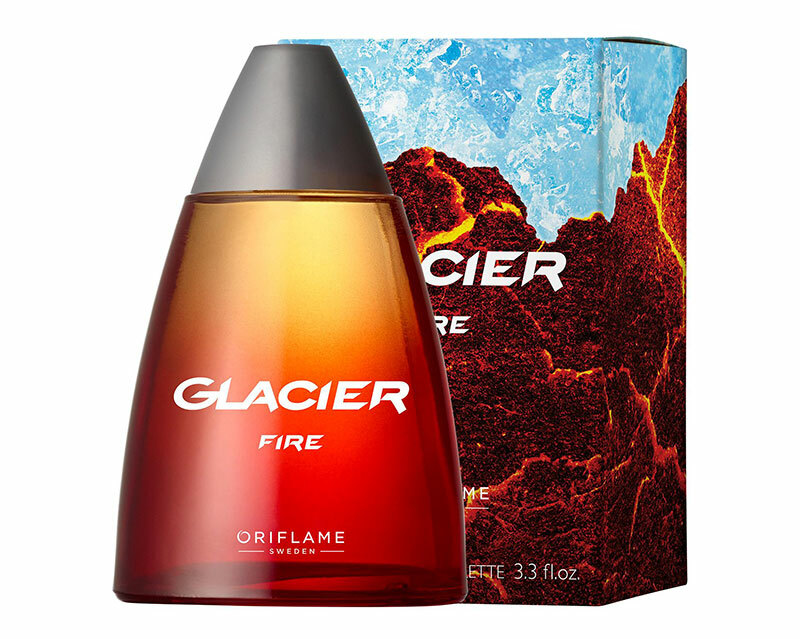 The aroma of Glacier Fire is inspired by the energy that is released with the lava meets the ice. A hymn to contrasts and adrenaline! Definitely one more excellent fragrance to join the Oriflame range of fragrances for men. A masculine fragrance with contrasting facets of Mint and Black Lemon, wrapped in a warm woody base. An energy injection for the man who likes extremes. 100ml.